Basically a home game for Georgia, and their fans really, really want to go to the game. The Georgia Bulldogs outlasted the Oklahoma Sooners 54-48 in a ridiculous double-overtime Rose Bowl to advance to the national title game. 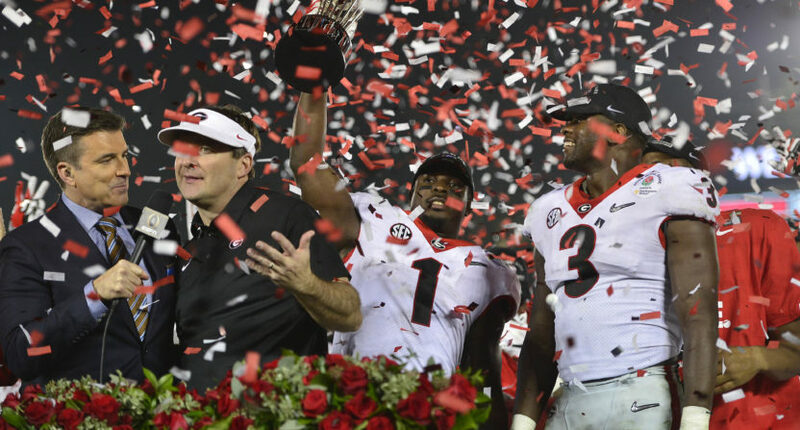 And it just so happens that the championship game is in Atlanta, so the game immediately became a highly coveted ticket by Georgia fans. So much so, that Stubhub crashed in the minutes after the Rose Bowl win. ESPN’s Darren Rovell tweeted that Stubhub was down for 30 minutes, and the cheapest ticket was $2,480 when the site started working again. With title game in Atlanta and Georgia in it, StubHub’s title game ticket page was down for about 30 minutes after Bulldogs beat Sooners. Now back up. Cheapest ticket is $2,480. Georgia will take on Alabama in the national championship game next Monday at Mercedes-Benz Stadium, in front of a lot of people that just spent a crap ton of money.